Modern life can be stressful and filled with pressures that leave our nerves jangling by the end of the day. 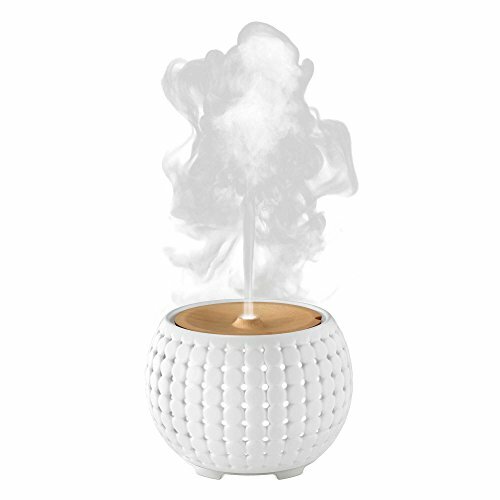 However, adding an essential oil diffuser to your home or office can bring calm. Along with the uplifting effects of various fragrances, scientists are discovering that they have a positive impact on your mood, focus, and mental health. One of the most studied essential oils in the use of aromatherapy, lavender oil, for example, has shown a positive effect in reducing anxiety and alleviating the symptoms of menopause. 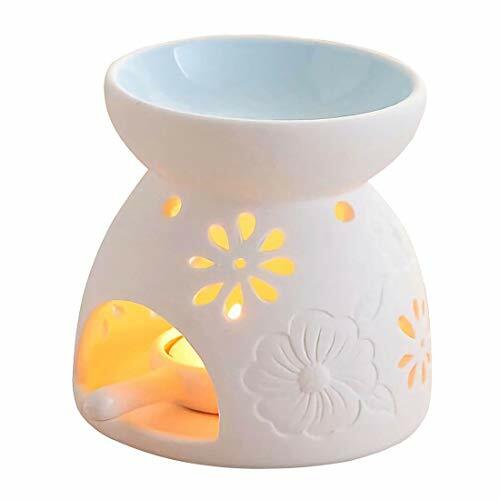 However, with the overwhelming number of models with a wide price range to choose from, finding the right essential oil diffuser can seem impossible. Before deciding on one, however, it helps to know which types are on offer, how they function, and what features you can commonly find on current models. Essential oils are found in a wide variety of medicinal and cosmetic products, and they’ve been in use for thousands of years. Their long history of use without much documentation makes it easy to dismiss them in an age driven by technology. However, science is catching up with the past quickly. After realizing that many ancient remedies have lasted so long for a reason, research on botanicals for their medicinal qualities has blossomed. Most of the fragrances created by plants are meant to attract pollinating insects and animals that help distribute seeds. But humans have over 300 active genes for olfactory receptors. These receptors can detect thousands of different aromas and their compounds. These compounds regulate our moods and brain function, as well as our physical responses to psychological signals. This means that aromatherapy may finally be coming into its own as a beneficial mode of improving health and wellness. 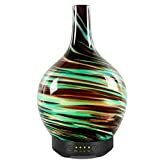 It’s hard to discern which essential oil diffuser is best when many models look similar with few variations beyond color and finish. A few include unique features, such as lights. But the factors that make a difference in their function may seem obscure if this is the first one you’ve ever purchased. 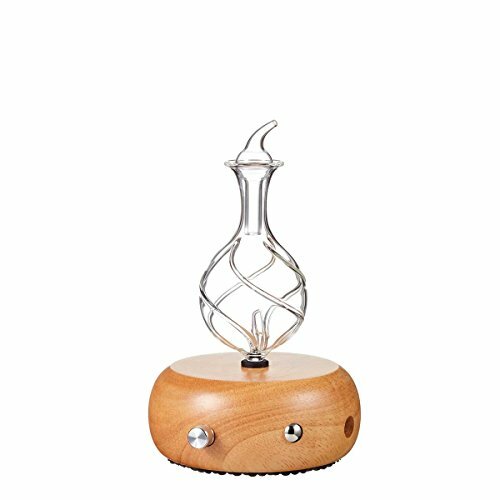 The purpose of an essential oil diffuser is to disperse the active chemical components into the air for inhalation. A diffuser accomplishes this dispersion by a number of ways: ultrasonic, nebulization, heat, and evaporation. 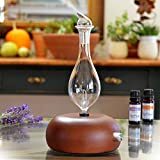 While all four methods have their benefits, an ultrasonic or nebulizing essential oil diffuser provides a more effective means of transmission than heat or evaporation. 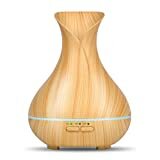 An ultrasonic essential oil diffuser disperses the oil by creating a fine mist with water. This method uses up less oil and provides a more diluted dose of the oil. A cool mist diffuser also works as a humidify, since the machine uses a water mist to disperse the oil. This is an excellent choice for those who don’t appreciate strong fragrances or for use with expensive essential oils. And the units themselves tend to have a lower price tag than nebulizing types. 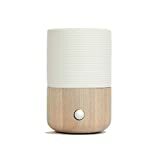 However, you need to avoid citrus oils with ultrasonic diffusers as they can erode the working parts. They also require cleaning, and not every user desires the extra humidity they create. Nebulizing diffusers are more effective, as the aromatic mist is created solely of essential oils. By using no water and no heat, all oil particles dispersed will contain nothing but the active botanical components. This makes them an excellent choice for delivering a concentrated dose of essential oil to large areas. Unfortunately, they do have their downfalls. Because they use undiluted oils, they use up more essential oils. Users also comment about the amount of noise they can make. And most importantly, they’re more expensive than other types. 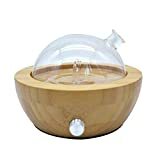 These are one of the most commonly found types of essential oil diffuser. Inexpensive and easy to use, you’ll find a number of brands in your local grocery store that plug into any standard outlet. The downside is that this method diffuses scent but isn’t very good at delivering the active botanical components. So, while they’re a good choice as an air freshener, you may not get any real medical benefit. The heat itself can destroy the delicate chemicals in your essential oil as well. Evaporative diffusers rely on simple evaporation to diffuse the oil’s components. Many also include a fan to disperse them even further by blowing over a pad soaked with your favorite essential oil. While inexpensive and easy to use, these prove to be less effective than other models. And because of the inefficiency, they provide less therapeutic benefit than one would expect. Along with the method of dispersal, you may want to consider other features provided by each model. Each varies by how much it holds, what kind of mist it provides, as well as how much noise it makes. Other convenience features can include timers and lights. 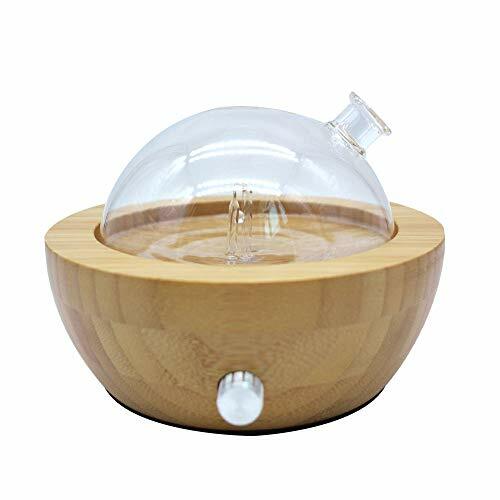 Your essential oil diffuser will differ in capacity according to the design. You’ll find diffusers on the market that range in the size of their reservoir. Many personal-sized versions have a 200 milliliter (nearly 7 ounces) tank, while larger units can have up 900 milliliters (about 30 ounces, close to a quart). This feature is mainly relevant to an ultrasonic essential oil diffuser, which uses water. It’s essential to have an adequate reservoir, so you aren’t constantly refilling it. It also has to hold enough to create mist for the size of the room. A timer makes it so much easier to manage your essential oil diffuser. This sets the time period the diffuser will run and how often it disperses mist or oil, which saves on oil and electricity. You may also find models with automatic scheduling that can start dispersing oil right before you come home in the evening. 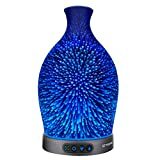 While not specifically therapeutic, some owners enjoy the array of colored lights on several popular essential oil diffusers models. Many parents find they also make great night lights for children. However, if you find excess light disturbs your sleep, make sure the model you choose has the option to dim the lights and even turn them off completely. Some models allow you to adjust the amount of mist it produces. This is especially handy when you move it into a smaller or larger room. It’s also a great feature when using particularly strong-smelling oil or for those with delicate noses. Some units, especially the nebulizing types, make noise that some users find distracting. While many people find it easy to tune out after a while, you may feel differently. If the last thing you need is something else to clean out every week, consider an essential oil diffuser that requires little care and cleaning. This ultrasonic essential oil diffuser from InnoGear provides a natural wood look to any décor and comes in two colors. 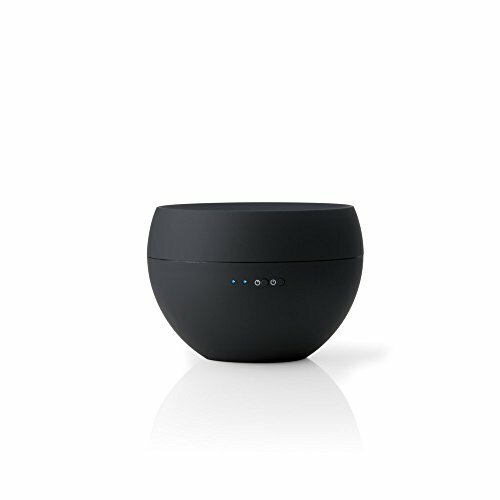 With a low profile, Zen-inspired design, it holds 200 ml of water. This size suits the average-sized room and becomes more flexible with a mist adjustment of high and low. The timer and auto-shutoff function feature four settings: 1, 3, and 6 hours, plus a continuous misting setting. The auto-shutoff mode kicks in when the water level gets too low. 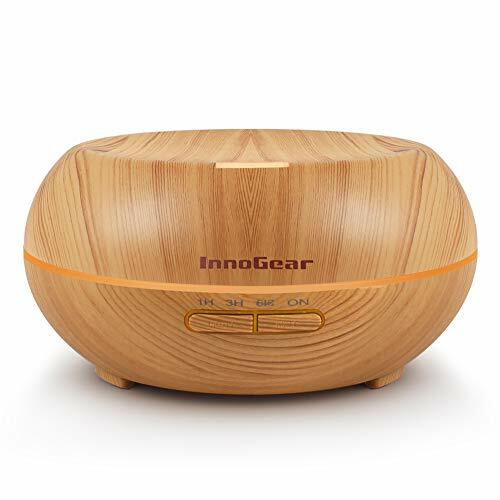 InnoGear boasts that this model does double-duty as a humidifier as well, which is perfect for homes with forced-air heating. The light band delivers seven different colors and a variety of settings. Rotate through all the colors or choose just one. You can also dim or brighten the light as desired. 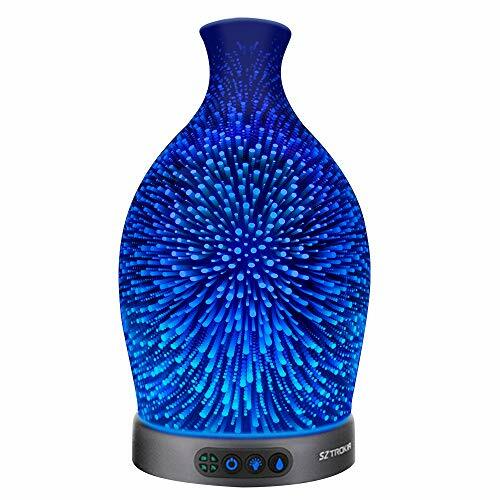 This stylish looking ultrasonic essential oil diffuser by Stadler gives any room a clean, modern look along with intermittent mists of sweet fragrance. The tiny blue lights on the control panel signal its operation without illuminating the room. You can set the timer for 20 minutes or set the diffuser to run continuously. The reservoir is 110 milliliters and features an automatic shut off. 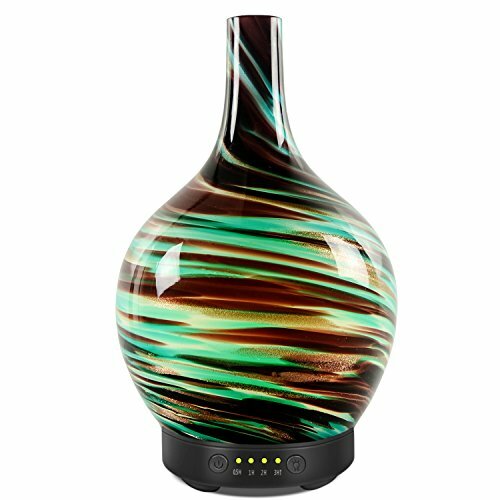 This ultrasonic essential oil diffuser from Everyone boasts a compact design with a 59ml (2-ounce) reservoir. It’s perfect for the desk at home or office, as you can keep it powered with the included USB adapter. It runs up to two hours on continuous mist or 6 hours on intermittent. Either way, the auto-shutoff makes sure its safe to use. Choose from four light options: warm white, one color, rotating hues, or no light at all. 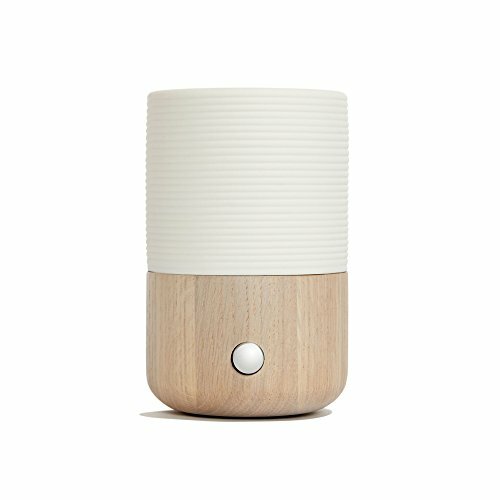 If you’re looking for a long-lasting ultrasonic essential oil diffuser, the Ellia Gather delivers award-winning performance for up to 20 hours. Although the reservoir is only 200ml, its unique design provides a constant mist of 10 hours or intermittent mist of 20 hours. Maintenance is minimal with this model, too. Wipe out the reservoir every other week and clean the membrane once or twice a month. Doing double-duty as a humidifier, the all-natural materials of wood and ceramics add a touch of class to your home. The softly colored lights are adjustable by remote control, as well. And with its included playlist of soothing sounds, the Ellia Gather pulls triple duty as a sound machine. Perfect for creating the ultimate sleepy-time environment. The elegant Sofia features minimalist Italian design, hand-made of wood and ceramics. Providing waterless dispersal and the most potent fragrance, it also features two reservoirs so that you can change them out as your mood changes. Run time is approximately two hours, with an adaptive mist to adjust how often the oil is dispersed. The Sofia model has two light modes: ambient and a meditative, pulsing mode. This-whimsical looking nebulizing essential oil diffuser from Lyson features a high-pressure atomizer for ultimate potency. It includes LED lights to set the scene for relaxation with a glass globe and wooden base. 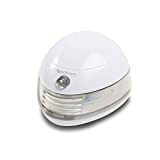 Although it doesn't feature any timer function, you’ll find the price is lower than most nebulizing diffusers on the market. This unique 3D design from Sztrokia with seven changing colors is nothing less than trippy fun. 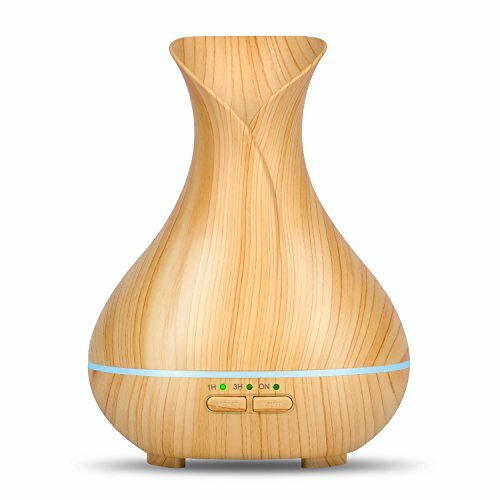 This ultrasonic essential oil diffuser includes three misting modes and a 200ml reservoir to run 7, 9, or 12 hours. It boasts quiet operation. You can set the timer to disperse every 1, 3, or 6 hours with and an automatic shutoff for safety. 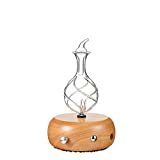 This ultrasonic essential oil diffuser from OliveTech features a wood grain finish and unique vase-shaped design. With a 400ml reservoir, it’s suitable for large rooms and long hours. You’ll get eight straight hours of use with a strong mist for the most potent fragrance. You can set the timer to mist every 1, 3, or 6 hours or set it for continuous operation. Features include seven light colors with dimmable options for a more relaxing environment. 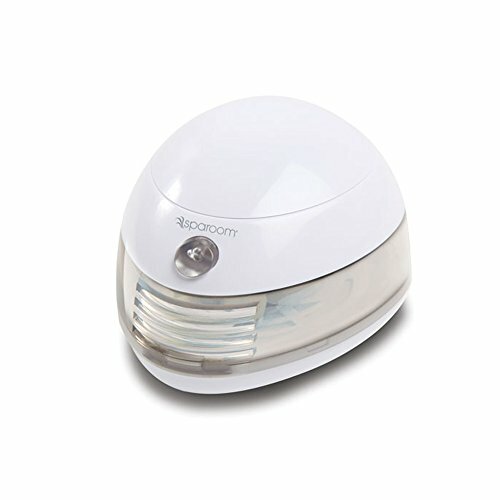 Boasting super quiet operation, it provides a very fine mist, doubling as a humidifier as well. For set-it-and-forget-it simplicity, the Tenswall ultrasonic essential oil diffuser features a 900ml capacity for up to 21 hours of operation. The square shape and marble finish put it right at home in any traditional or modern décor, too. The touch key controls are easy to use and simple to understand. Seven LED color lights provide a soothing atmosphere, and the mist is customizable at 1, 3, or 6-hour intervals or continuous diffusion. 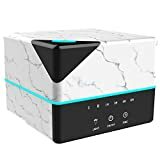 The large capacity makes it an excellent overnight humidifier with no worries about running dry. Choosing the right essential oil diffuser for your needs will boil down to your usage requirements and your budget. If you’re mainly interested in choosing one to provide fragrance, you’ll probably prefer an ultrasonic model with a price point of $8 to $30, depending on the size you need and any timer options. For therapeutic use, you may prefer a nebulizing model that disperses pure essential oils in minute particles through an atomizer. These can run from $60 to $150, and special add-on features like timers and light impact the cost. The most import feature is whether or not you’ll find it easy and pleasant to use. So, choose the essential oil diffuser that fits in with your décor and fits in with your lifestyle. 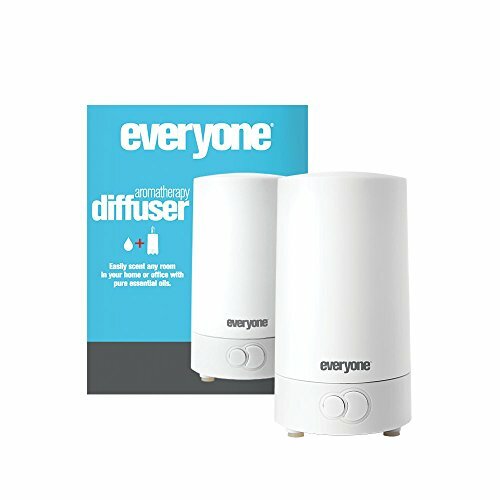 Do you own an essential oil diffuser? Which brands have you tried, and which ones are your favorite? Please feel free to share your experiences with oil diffusers in the comments below. In that way, our readers can learn from your experience.